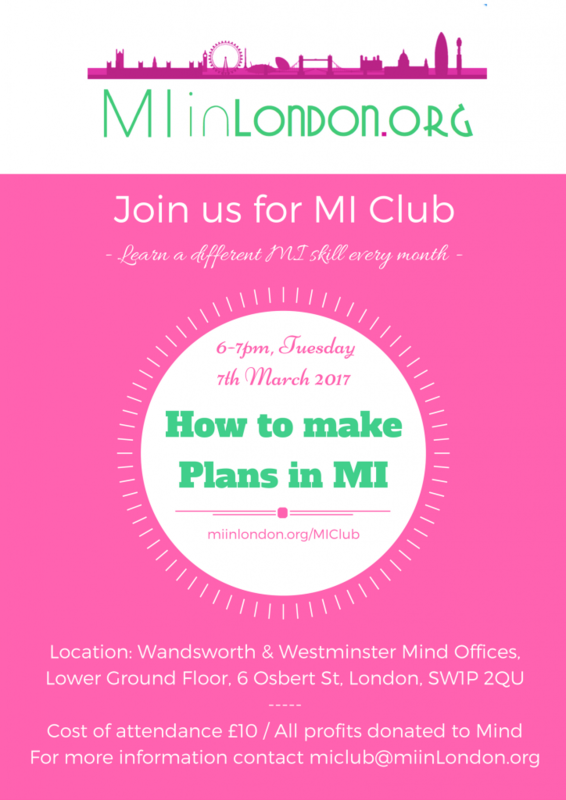 It’s here, on 7th March 2017 come and learn about How to Plan in Motivational Interviewing. We’ll be introducing Planning. Planning is step 4 of the 4 MI Processes, it is often the hardest to transition to make of all processes and the one I am constantly asked about more than the others.